Photographers can now trigger and quickly set ratios for three groups of radio controlled Qflash. Use with OM3 for TTL with your Ring Flash. Set lighting ratios on the fly, right from your camera. Simply turn three controls on the CoPilot to instantly adjust lighting ratios as you shoot. Mix and match all the flashes you own. 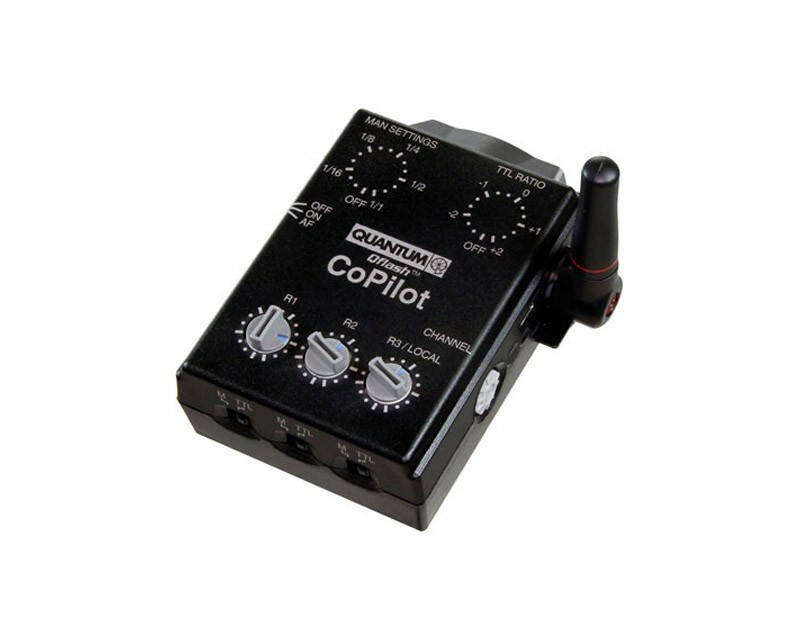 CoPilot controls remote Qflash TRIOs or T5dRs. And it commands any combination of non-Quantum flashes connected to a Quantum FreeXwire receiver.